I love music! I also love meeting the people who make the music, and my mom loves taking us to see the bands. Here are some pictures of me with bands that I have met. HOME About Me | My Family | FUN FUN FUN! | GRAPEVINE! | Pictures I took of bands | Me With Bands | Upcoming Concerts | Millennium Music Conference | Favorite Links | Contact | Weather | Guestbook | Gwen's Poll | BLOOPERS! 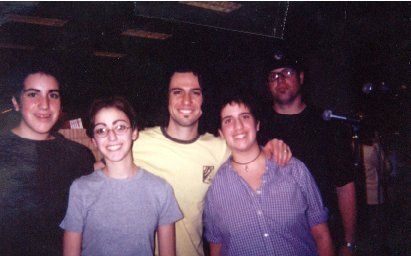 This is a picture of us with Darryl, the lead singer of Aztek Trip. 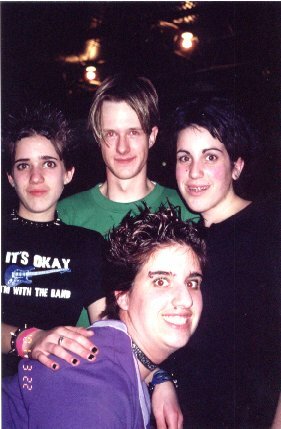 It was taken at Crocodile Rock on March 22, 2001. In the back, from left to right: Alex (wearing the "it's ok i'm with the band shirt), Darryl, Gwen (me)...in the front hunkered down, it's LOGAN! 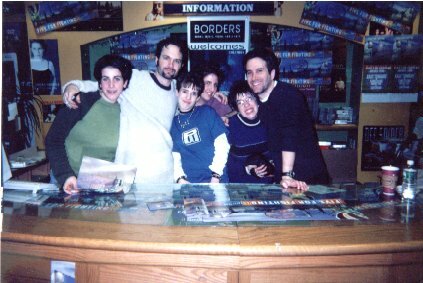 This is a picture of us with The Clarks (from Pittsburgh, PA) taken in late 2000 at Media Play in Harrisburg, PA. Hannah is in the back, and in the middle (from left to right) is Emily, Logan, Me, Alex, and then Madison. The band is in the front. This is a picture of me with my sisters, my little sister's boyfriend George, and my friend Emily, along with the guys of Aztek Trip. 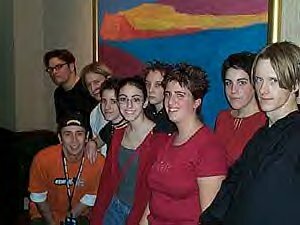 The band is from Allentown, PA, and the picture was taken at the Millenium Music Conference at the Harrisburg Hilton Hotel on Friday, February 16, 2001. 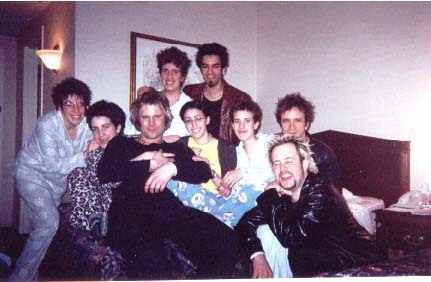 This is another band we met in the Hilton Hotel at the Millenium Music Conference. They had the hotel room right next to ours. The band is called Grapevine (from Pittsburgh, PA). 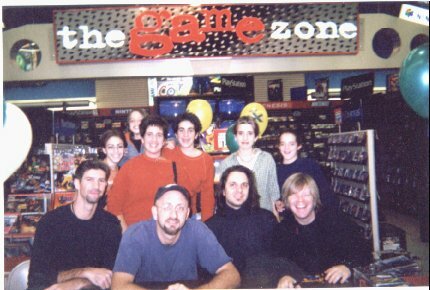 This picture was taken Saturday, February 17, 2001, or was it really Sunday morning? I never remember what to call anything after midnight... We're all in our PJ's, and in the back row, it's Logan with Jean-Marc. In the middle, from left to right, Mom (Terry) is on the end, then, on the bed, Gwen, Ken, Emily, Alex, Kevin and on the bottom Chris.